A growing number of Late 2013 Retina MacBook Pro owners in Apple Support Communities forum threads are reporting various problems with both the 13 and 15-inch models of the laptop, including lockups with the keyboard and trackpad on the 13-inch version, as well as difficulties installing Windows 8 and Windows 8.1 through Apple’s Boot Camp utility on both models. According to users in a support thread spanning over 14 pages, the trackpad and the keyboard on the 13-inch Retina MacBook Pro are reportedly locking up at random during use, with a hard reset through the machine’s power button appearing to be the only present solution to the problem. Users are also reporting that a reset of the MacBook’s System Management Controller (SMC) appears to be ineffective, and a small survey of users within the thread show that the problem is affecting all three configurations of the 13-inch model. Currently, it is unknown as to whether the freezes are a hardware or software problem, as Apple has not officially commented on the errors. Meanwhile, users in another support thread spanning over 8 pages are reporting occassional failures when trying to install Windows 8 and Windows 8.1 on both the new 13 and 15-inch Retina MacBook Pro. The errors appear to be with the partition that Boot Camp creates in order to install Windows 8, as users in the thread have reported freezes and copy errors with methods such as insallation through a USB drive and DVD installation via external SuperDrive. 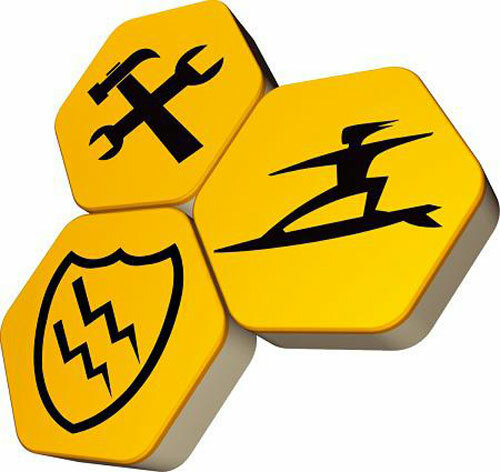 However, a post in the support thread directing users to select specific options within Boot Camp Assistant has been marked as a solution to the issue, with users reporting successful installations of Windows 8 and Windows 8.1 after using the method. It is also likely that Apple may issue an official EFI update to address these Boot Camp install errors in the near future, as one for the Late 2013 iMac addressing the problem was issued shortly after its release. Apple unveiled the new 13 and 15-inch Retina MacBook Pros at its media event last week, which were updated with Intel’s latest processors for enhanced performance and significantly improved battery life. Apple also reduced the pricing of the new Retina MacBook Pros by $200, offering the entry level 13-inch version for $1,299 and the entry level 15-inch model for $1,999. 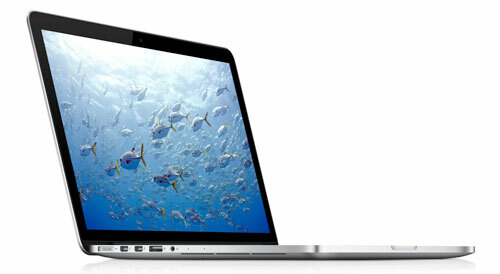 The updated MacBooks are available from Apple’s Online Store and at its various retail locations. The smartphone has become the camera in everyone’s pocket. It’s always there, hopefully charged, and adept at snapping a quick shot. Yet many of those shots are lacking the crisp focus and detail of a DSLR or even a point-and-shoot camera. 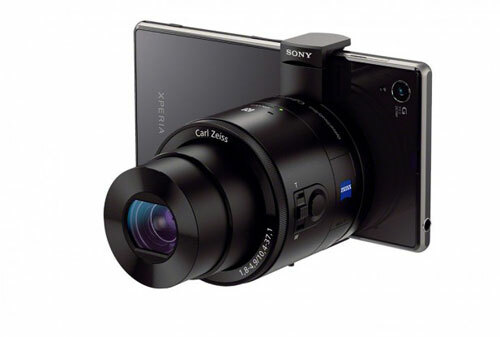 To give that higher-quality capability to smartphones, Sony developed the QX series “Lens-Style Cameras” for iOS and Android devices. “The devices are compatible with Android and iOS handsets and mark the creation of a new product category,”BBC News reports. It signals a growing demand for better cameras for smartphones. The QX series was introduced with two models: the Cyber-shot DSC-QX100 and DSC-QX10. Both are able to shoot high-quality images and HD video. The lenses connect wirelessly to a smartphone and attach to the handset with an adjustable mounting device. Once connected, the lens view is revealed on the smartphone’s LCD screen with a real-time viewfinder. Using the smartphone’s touch screen, users can release the shutter, start and stop movie recordings, and adjust settings such as shooting mode, zoom, and auto focus. Photographs and video are automatically saved directly to the phone and camera. Both lenses offer Wi-Fi connectivity so users can snap shots, and then upload them directly from the camera. This includes uploading pics to social media sites, email, and other websites. The QX series lenses use Sony’s PlayMemories mobile app to store and organize images and video. The app can also power the ability to connect the lens with the smartphone using NFC to activate one-touch set-up for compatible devices. The Cyber-shot DSC-QX100 camera includes a premium, high-quality 1.0-inch, 20.2 megapixel Exmor RCMOS sensor. This is the same sensor found in the Cyber-shot RX100 II camera. The lens offers ultra-low noise images in most light conditions, including dimly lit indoor and night scenes. Sony paired the sensor with a fast, wide-aperture Carl Zeiss Vario-Sonnar T lens with 3.6x optical zoom and a BIONZ image processor. The DSC-QX100 has a dedicated control ring for camera-like adjustment of manual focus and zoom. The lens has several different shooting modes including Program Auto, Aperture Priority, Intelligent Auto, and Superior Auto, which automatically recognizes 33 different shooting conditions and adjusts camera settings. The DSC-QX100 will be available later in September for about $500. The less expensive, high-zoom Cyber-shot DSC-QX10 is built with an 18.2 effective megapixel Exmor RCMOS sensor and 10x optical zoom Sony G Lens. Sony says the DSC-QX10 lets mobile photographers bring distant subjects closer without sacrificing image quality or resolution, which is a common complaint with smartphone photography. The camera also has built-in Optical SteadyShot image stabilization, which combats camera shake for video but also still photography where smartphones can often produce blurry shots because of the response time to the shutter. The DSC-QX10 has Program Auto, Intelligent Auto and Superior Auto modes for shooting. It weighs less than 4 ounces, and is available in black or white to coordinate with most smartphones. The DSC-QX10 will also be available later in September for about $250. 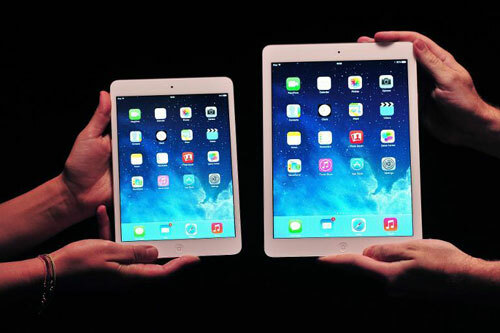 San Francisco (AFP) – Apple has unveiled the “iPad Air”, a slimmer version of its top-selling full-size tablet, and a revamped iPad Mini, bidding to fend off rivals who have eroded its market dominance. The new products will likely fuel the trend of mobile devices vanquishing old-school personal computers, but the launch failed to catch fire with investors, as Apple shares dipped following Tuesday’s highly-awaited event. “It is going to be a really strong holiday for Apple,” Gartner analyst Van Baker said of the California company’s prospects of sales during America’s important holiday shopping season. “The highlight of the day is the breadth of Apple’s announcement; this is apps, tablets, MacBooks, Mac Pro, software… It is very wide ranging,” he said, after spending some hands-on time with the latest devices. The new iPads will be sold alongside existing versions starting November 1 in more than 40 markets around the world. For the first time, China will be among the countries getting the latest iPad models on launch day. The new iPad Air is thinner than the version it replaces, weighs just one pound (450 grams), and is “screaming fast,” Apple vice president Phil Schiller said at the unveiling in San Francisco. And the upgraded iPad Mini has a vividly rich retina display along with faster computing power and graphics. Both new iPads feature the Apple-designed A7 chip with 64-bit “desktop-class architecture,” the company said. Apple chief executive Tim Cook said he was not troubled by competition in the tablet space, despite the iPad losing share in the sector in recent times. The iPad “is used over four times more than all of those other tablets put together, and this is what is important to us. People use it, and what is even more important to us, is people love it,” he said. The iPad Air will start at $499 and the new Mini version at $399 for US customers. Apple will trim prices of current iPad models. Apple announced upgrades for its MacBook line of notebooks and Mac Pro desktop computer, and its new operating system called Mavericks would be available as a free upgrade for those with existing Apple computers. In a strategic shift, Apple also said that iWork and iLife software suites — for tasks from video editing to mixing music and making business presentations — would be free with all its devices. “These are really incredibly rich apps, and we have only just scratched the surface of what you can do with them,” Cook said. Baker said this was a smart move which can drive sales of hardware along with posing a threat to Microsoft’s empire, which is built on selling operating systems, productivity applications and other software. Like Google does with its online array of Docs applications, Apple will be making available for free the productivity software that Microsoft sells to users of Windows-powered computers. “That is Apple’s business model to a T, make software and services free and let them drive sales of the hardware,” Baker said. The new iPads were unveiled on the same day Microsoft began selling an upgraded version of its Surface tablet, and as Nokia unveiled its own tablet computer. Industry tracker Gartner on Monday forecast that global tablet shipments will reach 184 million units this year — a 53.4 percent rise from last year. The iPad remains the largest-selling tablet, according to surveys, but its market share is being weakened by rivals using the Google Android operating system. Apple is also under pressure to adapt to the popularity of premium tablets with high-quality screens in the seven- to eight-inch (18- to 20-centimeter) range where the Mini competes. But Apple is also raising the price for the new Mini, unlike competitors, which Dawson said means Apple’s share in tablets will continue to fall as Android’s share rises over the coming years. Apple shares fell 1.5 percent to end at $519.87 but were regaining lost ground in after-market trades. Just in time for the Windows 8.1 debut and its hinted-at 4K resolution support, Asus is announcing a professional-grade (read: not cheap) Ultra HD LCD monitor. The company showed the PQ321 Ultra HD, a 31.5-inch 4K Ultra HD monitor featuring a maximum resolution of 3840 by 2160 at Computex in Taipei. The unit has a 16:9 aspect ratio, 176-degreee wide viewing angle, DisplayPort, dual HDMI inputs, and built-in 2W stereo speakers. Asus said it used Indium Gallium Zinc Oxide (IGZO) for the active layer of the PQ321’s LCD panel instead of the standard amorphous silicon for LCD displays. Because IGZO panels can work with smaller transistors, Asus could cram smaller pixels onto the screen. That’s a good thing considering this panel has four times as many pixels as a standard 1080p monitor. The PQ321’s 140 pixels per inch may not sound great in an era when the iPad and other tablets have 264 ppi or more. 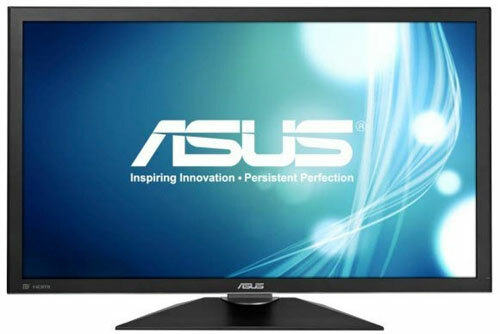 But keep in mind a standard 1080p monitor with the same dimensions as the PQ321 would have exactly half the pixels per inch of Asus’ Ultra HD monitor. Asus did not announce pricing or an official release date for the PQ321, but Hexus and Engadget both report that the monitor will debut in North America at the end of June. Once you can buy Asus’ snazzy new monitor, however, what puts it to best use? Both the Xbox One and the PlayStation 4 will support 4K resolutions, and with the PQ321’s built-in speakers, using this monitor as a TV replacement should be a snap. If you’re looking to do some PC gaming at 4K resolution, you’d better be prepared to shell out some serious dough—Not only for the monitor, but high end specs for your gaming box as well. A good start would be a high-powered graphics card like AMD’s $999 Radeon 7990. Gaming may be the first, best use for a 4K monitor. The next obvious choice is movies, but since 4K resolution has yet to go mainstream, finding 4K titles could be difficult. In late 2012, Sony released a hard drive containing ten 4K movies to buyers of its $25,000 84-inch 4K UHDTV. The company is also releasing classic movies remastered in 4K such as Glory, Taxi Driver, and Ghostbusters. An Ultra HD monitor sounds great, but there probably isn’t a ton of use for it yet unless you’re a serious gamer or looking to do graphics or video editing. But if Asus pushes the price low enough—which is reeeeeeeeally unlikely right now—you could pick up a PQ321 as an investment in the seemingly inevitable 4K future.